Owning an espresso machine is almost all coffee drinkers dream. DeLonghi EC702 and DeLonghi EC155 are two affordable espresso machines marketed towards coffee drinkers who don’t want to spend so much on expensive machines out there. 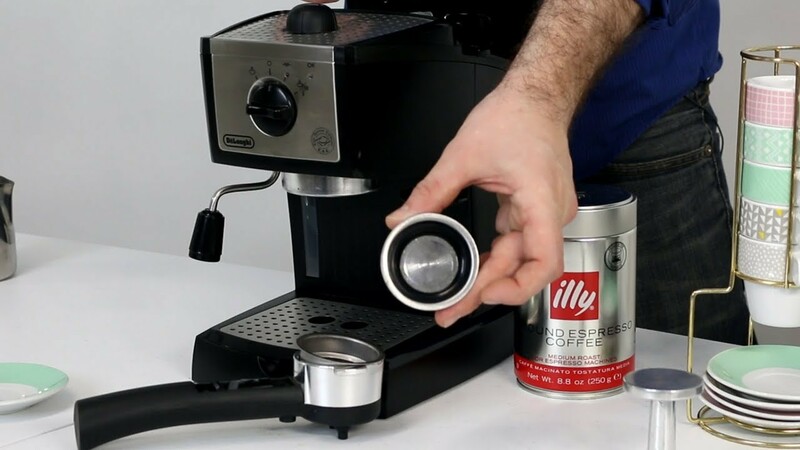 If you want to own an espresso machine without digging to deep into your pocket, you may want to read our article below. DeLonghi EC702 is an espresso machine from one of the most popular Italian espresso machines manufacturer DeLonghi. This espresso machine is an affordable option for coffee drinkers who wish to own their own espresso machine, so they can make their favorite beverages anytime at home, but are reluctant to spend on much more expensive high-end espresso machines. Coming from DeLonghi, you can expect nothing less than a machine that not only reliable but also durable for everyday use. Looking DeLonghi EC702 from the outside, we know that this espresso machine is built to last with its sturdy steel case covering almost inch of the machine. Measuring at 11.25 inches in width, 8.15 inches in depth, and 12.5 inches in height, you can place he unit easily in your kitchen top or any flat surface in your house. This espresso machine is rectangle in shape and pretty compact with subtle appearance. All the control is place at the front and side of its body for convenient operation. DeLonghi EC702 comes with high quality stainless steel material for the boiler to heat up your water effectively and faster, so you can enjoy your piping hot coffee without waiting too long. When you are in rush, instead of using your usual coffee ground, you can use coffee pods and save more time without measuring or tampering your ground. With its 3 in 1 filter holder, you will be able to select one or two shots at a time. To give you extra crema in each brew, DeLonghi EC702 is featured with double wall filters. This machine also comes with a built in frother to turn your bitter espresso into creamy and milder beverages, such as cappuccino or latte. The patented cappuccino system frother will give you that consistent rich and creamy froth anytime you need. Since the machine able to do self-priming, you don’t have to wait long anymore for your machine to prepare and serve your coffee. DeLonghi EC702 has two thermostats to ensure the machine is brewing your coffee as well as frothing your milk in the right temperature. This part is important, since the ideal temperature to brew coffee and froth milk is different. With two thermostats, water and steam pressure will be controlled separately. It is recommended to use cold milk for frothing to avoid cooking the milk. Equipped with 15 bar pump, your coffee ground will be extracted evenly in DeLonghi EC702 and guarantee you will get authentic flavor in each brew. The water tank is placed inside the machine and can be easily removed, fill and clean. The machine will let you know when you have to refill with an indicator light. We know that it is recommended to warm your cup for espresso, so the machine also have warming tray to keep your espresso warm and keep the crema longer. DeLonghi EC155 is an espresso machine from the same name company. This espresso machine is currently one of the most popular affordable machines you can get in the market. Not only it can produce rich espresso but it also built to last pretty long with everyday use. This machine is perfect for coffee drinkers who want to shift from instant coffee to a stronger espresso without having to dig in too deep into their pockets. 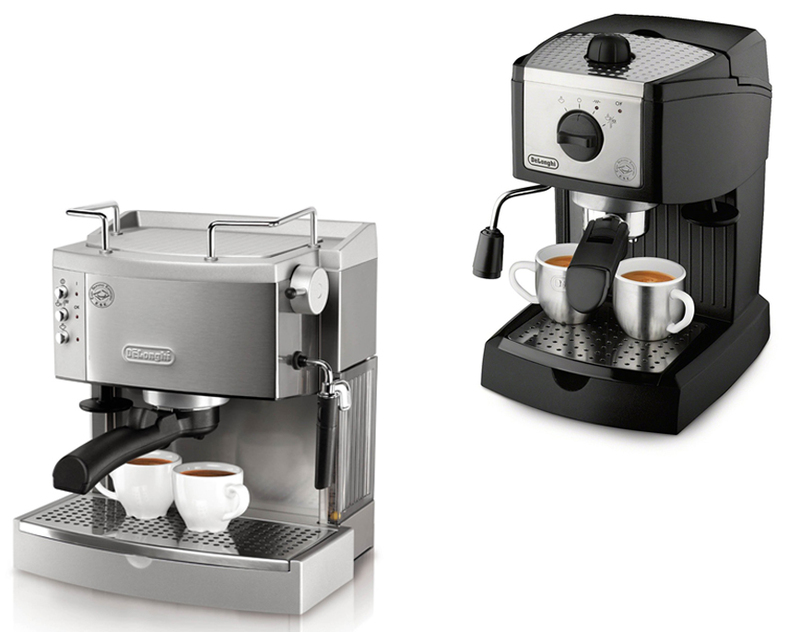 For another affordable machines read our article on DeLonghi EC155 Vs EC220 here. Not only you will get nice espressos but also you will be able to create various coffee and steamed milk base beverages because it also have built in frother. So you can get milder drink when not in the mood for espresso. DeLonghi EC155 is pretty compact; the machine look resembles a small coffee pods machine. Measuring at 12.2 inches in length, 19.3 inches in in width, and 15 inches in height, the machine will not consume much space in your kitchen top. The machine is built in plastic material in black color and silver at the control knob located at the front of the unit for convenient operation. The knob have small picture to indicate the function to ease first time users. DeLonghi EC155 comes with stainless steel boiler to heat up water faster and effectively. As it have been mentioned earlier, the machine is built with a frothing wand to steam your milk and create a fine texture with rich and delicious taste to smoothen your dark espresso or make other steam milk base beverages just in case you want to try other beside coffee. Since it can perform self-priming, you don’t have to get the machine ready every time you use it. You can use either coffee ground or e.s.e pods to brew coffee using DeLonghi EC155. This is very convenient especially when you are in a hurry and don’t have time to measure and tamper your coffee ground. With e.s.e pods, you only have to put the pods and make your espresso. This machine also capable of making one or double shots in one go. To make one shot, it is recommended to use around 7 grams of coffee ground and around 12 grams for double shots. DeLonghi EC155 has double thermostats to maintain the water temperature and steam pressure separately, which is great since the temperature for both functions are different. With double thermostats, the machine will be able to produce great espresso compare to those with only one thermostat. Now, let’s compare DeLonghi EC702 with DeLonghi EC155. Looking from the outside, both machines sure look very different. EC702 covered with stainless steel case while EC155 made with plastic. EC702 have a warming tray to keep your espresso stay at its ideal temperature and an indicator to let you know when the water tank needed to be refill, which are not available in EC155. All in all, the decision is all yours to make. 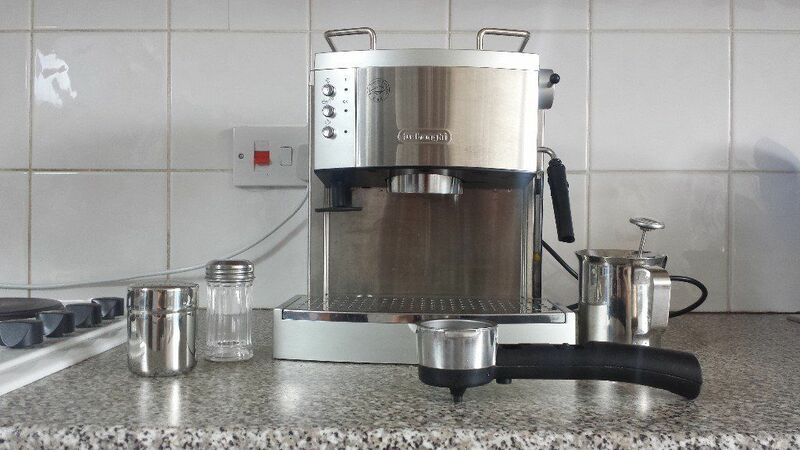 The key is the warming tray to keep the cappuccino warm and help retain its crema longer in DeLonghi EC702. In our opinion, this is a great addition to retain the taste of your espresso. If you don’t mind about paying a little more DeLonghi EC702 is a better choice.